I have a troop that is looking for a weekend program, when can we come? Is my troop old enough? How far away is Frost Valley YMCA? What should we bring to Frost Valley? Where will my troop sleep? I have a very young troop that I want to introduce to primitive camping – can you help me? Can we order the patches, pins, badges and belt loops through you? How will I get in touch with our scouts parents? How will they get in touch with me? What type of lodging will we be staying in? Will we be allowed to have campfires? Can we fish at Frost Valley YMCA? Do you have hiking trails? 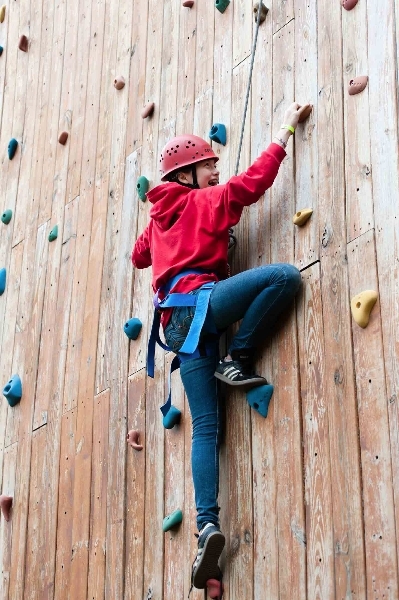 We have a number of scouting weekends available, which you can view from our Scouting page. Those weekends are specifically programmed and priced for our Girl and Boy Scouts. However, you are welcome to join us for ANY weekend between Labor Day and Father’s Day, but you will only receive the Scouting price on the weekends listed. Absolutely – there is no age limit, only age suggestions. We are about 2.5 hours from metropolitan NY and NJ. Simply follow this checklist to help you and your loved ones get packed for your stay with us. 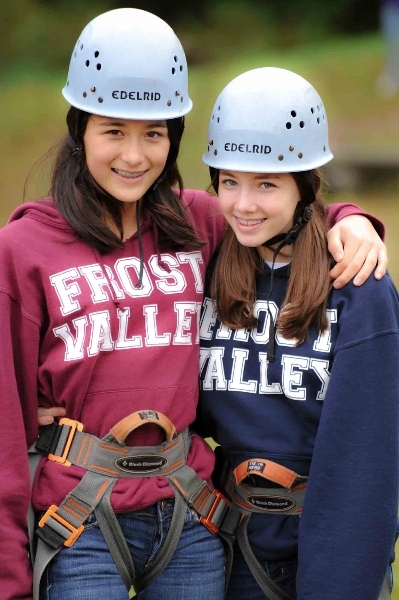 We have a wide variety of modern camp style lodging with bunked beds and attached baths. To view our wide variety please click on the Lodging link. Lodging on a Scouting weekend is first come first serve, so be sure to register early to get your preferred lodge. Frost Valley is not an authorized vendor of the Girl Scout and Boy Scout patches and pins. However, we have designed our own patches which will be a great reminder of your visit with us! Absolutely! During the early fall and late spring we have platform tents available in a picturesque setting located near our Biscuit Brook. It is a short walk to the dining hall. Each of these tents sleep 4-6 people in bunked beds and are steps away from a bath house. For those that wish to try their hand with cooking over an open fire, there is an excellent outdoor fire ring. For those looking for a bit more adventure, we have recently added 3-sided shelters further up the trail-very similar to what you would experience on the Apalachain trail. These can also be rented for the weekend, and provide a greater distance, (but still with 10-15 minutes) from the center of camp. We do not have cell phone reception in our area of the Catskills. We have provided a Verizon Hot Spot in our Welcome Center which provides a limited signal appropriate for quick calls and emergency check ins. We do provide house phones throughout our property which can be used with a calling card or a credit card to make longer calls. We provide house phones throughout the property that you and the scouts are able to use to connect with parents back at home. Those phones can be used with a calling card, a credit card, or by calling collect. 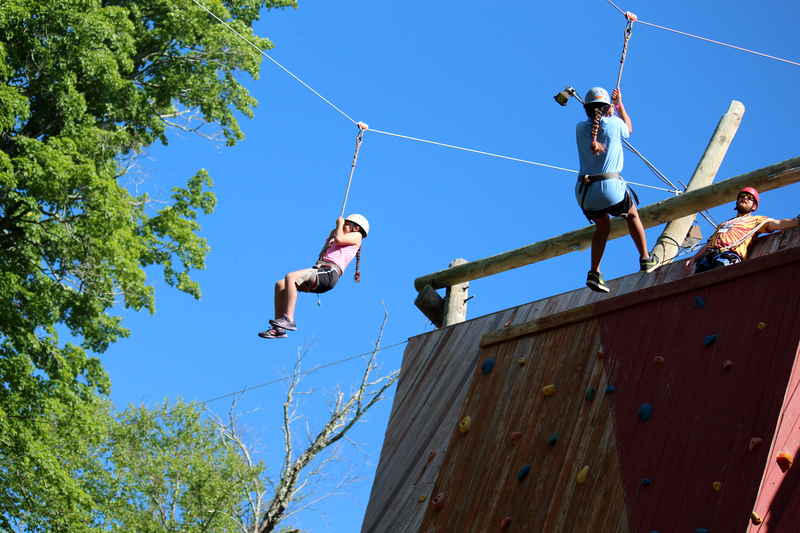 Parents who might need to get in touch with a troop leader here on site should call our home number, 845-985-2291 ext 0. This number is monitored from 8:30AM – 10:00PM. Messages will be delivered at the next meal. What and where is the closest hospital? There are two hospitals within 45 minutes of Frost Valley YMCA. Ellenville Regional Hospital and Catskill Regional Hospital. We do have a fully equipped health center, and an EMT / Nurse who is on staff 24 hours when guests are on site, and they are available to assist you however you need. We have a wide variety of lodging to fit every need. For our families looking to have a more rustic experience we have Yurts, Platform Tents and Rustic Cabins. For our Families looking to enjoy a more comfortable experience we have Renovated or Modern Cabins, Lodges, a historic inn-style Castle and a Hotel. To view all of our lodges, see photos, and view our pricing please visit our Lodging page. All Frost Valley lodges have an outdoor fire pit and many have indoor fireplaces. Please plan on spending time around your fire during your visit, but we ask that you follow our rules for the health and safety of our forested lands. Firewood from any location other than Frost Valley YMCA is prohibited. Transporting firewood may spread non-native insects and threaten the trees in our forest. New York State law prohibits transporting firewood greater than 50 miles. Cutting, felling, or gathering of wood on Frost Valley grounds is not allowed. We offer firewood for sale at $15 per load with a 3 load limit per day. Orders must be received at the Welcome Center before 5:00 pm. Are we able to fish at Frost Valley YMCA? Please bring your own fishing pole if you want to test your luck at catching fish in our pristine waters. Lake Cole is open for rod and reel fishing and you may use live bait. Fishing is not allowed around the swimming docks or boating docks. Lake Cole is a fishing preserve, which means a New York State License is not required. Fish may be kept from Lake Cole, however, if they are taken off Frost Valley property a fin tag must be obtained from the Front Desk of the Welcome Center. All other waters at Frost Valley are restricted to Fly Fishing only and are catch and release. Access to fish the rivers and streams is open to Outdoor Sporting Members and registered guests with a valid NYS fishing license. To fly fish guests must check-in at the Welcome Center front desk and obtain a name badge, fishing rules and regulations, and fishing map. All fish caught from the rivers and streams must be released at the same location. Frost Valley offers more than 30 miles of hiking trails open to all guests. Guided hikes are scheduled on most weekends; however, you can explore our trails on your own. Trail maps are available at the Welcome Center. Difficulty is noted on the map, so you can choose from Easy, Moderate, or Difficult. Please bring your backpack, hiking boots, appropriate clothing, and water for these adventurous excursions. You have the opportunity to visit High Falls, Brother’s Hole, cable bridges, scenic vistas, beautiful mature forests, and more. Winter Trails: Pick up a winter trail map at the Welcome Center to see which trails are open for cross country skiing and snowshoeing. 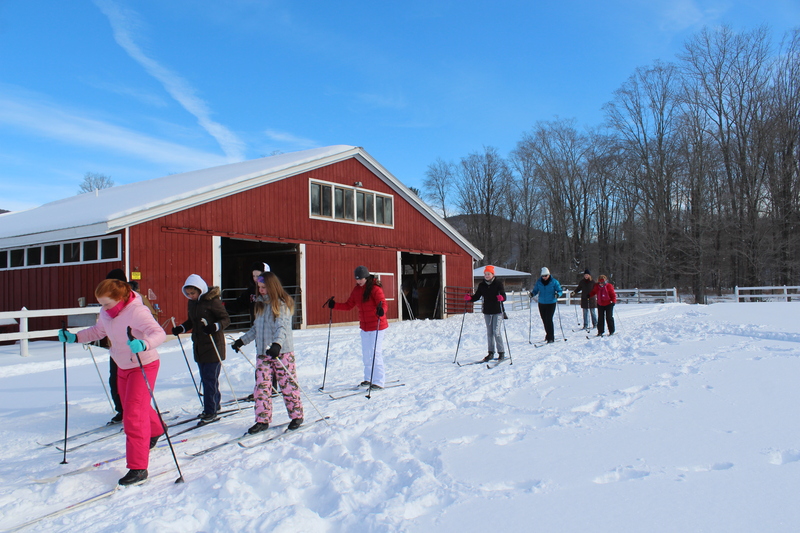 Please visit the Cross Country Skiing tab for more information on using ski trails when there is adequate snow. Guided snowshoe hikes are often offered during winter weekends. Snowshoes are provided for these hikes only. Plan on bringing winter boots, yak-trax (boot traction devices), and/or snowshoes during the winter. Our trails during this time of the year can be snowy, icy, and somewhat treacherous. 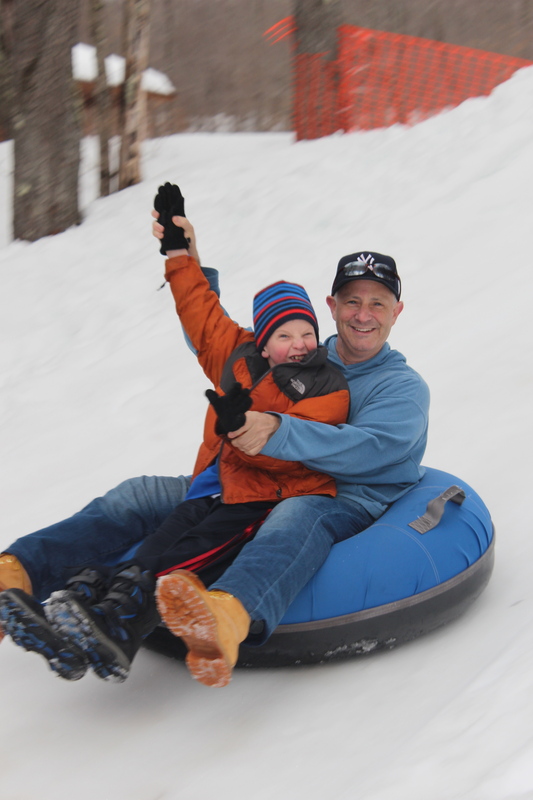 If properly prepared, you and your family can enjoy beautiful winter conditions. Find an icy waterfall, wildlife tracks, mountain streams bordered by snow and ice, hemlock trees, and peace and quiet.